A great book for girls 9-12. 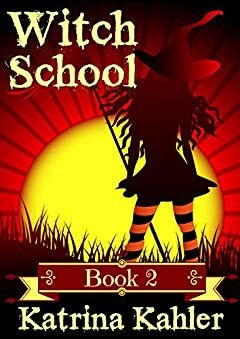 Witch School Book 2 continues the story Charlotte and all her friends at Miss Moffat's Academy for Refined Young Witches. Margaret takes revenge on Charlotte before she disappears from the school and puts Charlotte into a dangerous and frightening situation. The girls train hard for their inter-school competition against Witchery College and on the day discover that the girls from the bad witch school definitely do not share their values and belief in fair play. The School Ball with the students from the Wizard's School is a highlight in the school calendar. The girls meet some wonderful guys and have an interesting night. School lessons continue with Mistress Zara, who is the fortune telling teacher. However, some of the girls are not impressed with her visions. If you are a girl aged 9-12 and like reading about friendship and witches, then you'll love this story. !